Go through our currently available Giveaway competitions below… Pick a product you like and click on the “Enter The Giveaway” button to make your entry. Giveaway leaderboard shows who currently leads the competition. You can climb up the leaderboard by inviting your friends. The more friends you invite, the higher your chances of winning! We simply rank your position by the number of referrals. In most of our giveaways we select 3 winners. You will see who currently occupy these leaderboard positions once you made the entry. These competitions are normally run for a full month. Once a competition is concluded we will notify all winners about how to get their prizes. If you have any questions you can reach out to us by site’s chat bubble. Please note that Giveaway updates are first sent to our Messenger Letter Subscribers… make sure you subscribe to our community chat bot. You need this to stay informed! CLICK HERE TO SUBSCRIBE. We love our Hus-Lings! Hope you all make the most of these great offers we arranged for you guys. 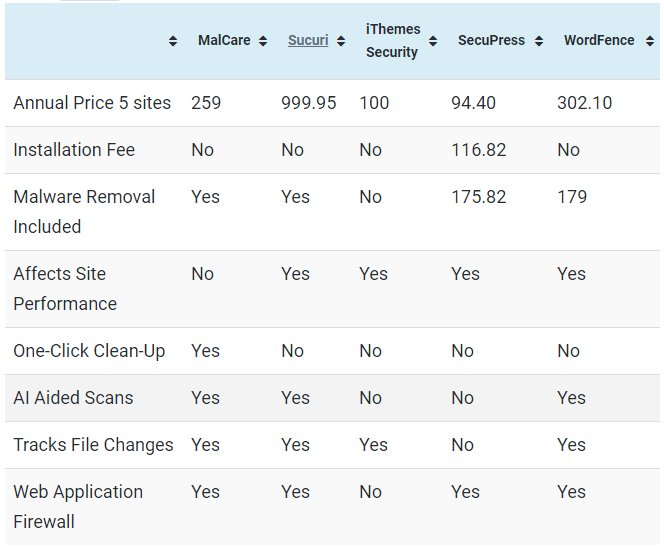 If Sucuri, SiteLock, Wordfence, SecuPress, iThemes Security Pro are expensive to you then MalCare is the best affordable alternative! 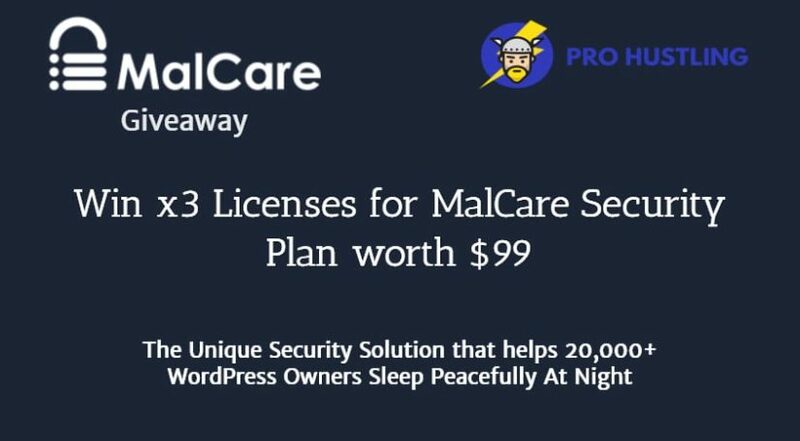 In this giveaway, 3 lucky Hus-lings can win 1 year of MalCare security personal plan for a one site that is worth $99 for the general public! Sucuri charges $199.99/yr for this same plan… If you win this giveaway then you get the same solution FREE for one year. In order to win this prize all you need to do is click the button below and fill in the form. Remember to share this giveaway with your friends to climb up the leaderboard. Good luck! This Competition Ends in July 11, 2018 23:59 UTC.